There are a few things you should know when renting a dumpster in Louisville. Here at Budget Dumpster, we find it our responsibility to communicate to potential customers about how the rental process works and the types of jobs that require proper waste removal. Here’s everything you need to know about your Louisville dumpster rental. Some people may not think of renting a dumpster for these projects. But you will be surprised by how much you can benefit from having a container at your disposal. 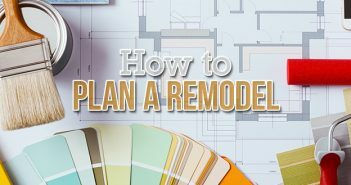 A home remodel or a renovation can consist of a lot of planning. The last thing you think of is disposing of waste. That’s why we’re here! Our affordable roll off dumpsters can handle any job with any type of debris. We offer our Louisville residents dumpster sizes ranging from 10 yards to 40 yards. That gives them plenty of options to choose from. We also offer a 15 yard special use dumpster for heavy debris. This dumpster has a 10 ton weight limit. We accept dirt, block, concrete and brick. However, the dumpster can only be filled 2/3 of the way with these materials. If you are unsure of which dumpster size would best cater to your project, our customer service representatives will be more than happy to help you select the right size. We do not accept any flammable, toxic or hazardous waste in our roll off dumpsters. Check to see if any of your materials have these warning labels and symbols. If they do, we cannot accept them. Additional items include tires, car batteries and wet paints. Our customer service representatives will explain more of the items you are not allowed to put in the dumpster during the time you place the order. We do accept tree stumps, electronics and appliances without coolant. Where can I place a dumpster? There are multiple locations our roll off dumpsters can be placed. 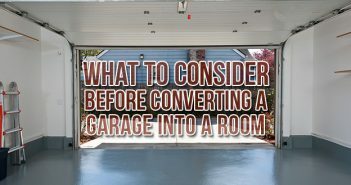 If you’re doing a residential project, the most common place is a driveway. The driveway may be inconvenient for some people, so they choose to have the dumpster placed in the street. For us to legally park a dumpster in the streets of Louisville, you must obtain a permit. The third option is placing the dumpster in your lawn. 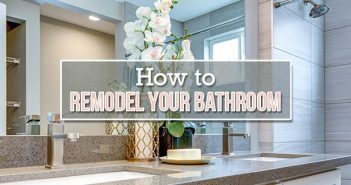 If you choose that option, we recommend you put plywood underneath the dumpster so it doesn’t cause any damage to your lawn. You want to be as specific as possible when our customer service rep asks you where you would like the dumpster placed. When you order a dumpster in Louisville, we guarantee it will be hassle free. If it’s your first time ordering a dumpster, that’s no problem! Our customer service representatives will be able to walk you through the entire process. Picking out a dumpster size can be a little overwhelming. Talk to the reps about your project and they will be able to set you up with the perfect size dumpster. The process won’t take up too much of your time. To set up the size, location and payment will take less than 10 minutes!